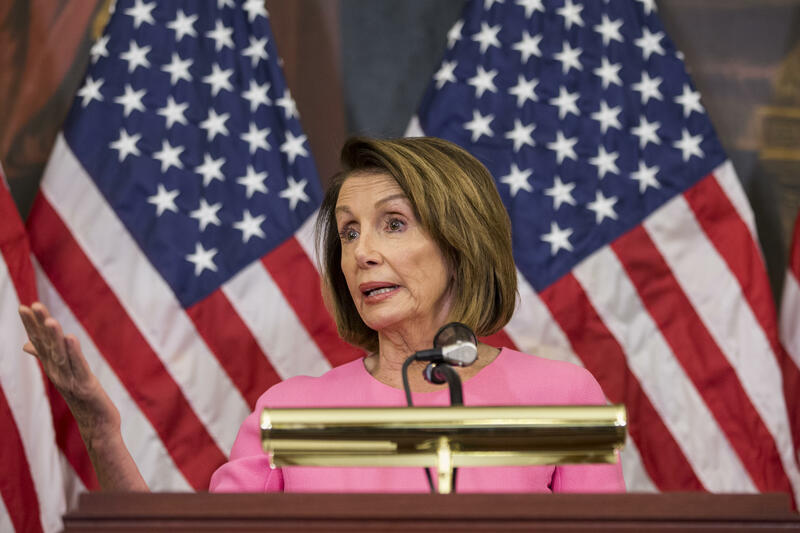 When Democrats recaptured the House Tuesday evening for the first time in eight years, a hypothetical question that hung over the 2018 midterms became a reality: Will House Minority Leader Nancy Pelosi become Speaker of the House once again? Pelosi became the first female speaker in 2006 when Democrats took back the House during the final years of the Bush administration. After shepherding the Affordable Care Act through Congress, she was relegated to the post of minority leader after the Republican wave in 2010. Pelosi stands ready to return to the job, but an increasing number of Democrats have called for a fresh face to run the party. There will be at least 29 new members coming to Congress in January, giving the Democrats at minimum a net 27-seat gain as of Wednesday morning. Eight of those newcomers have publicly stated that they will not vote for Pelosi for speaker: Reps.-elect Max Rose, Jason Crow, Haley Stevens, Anthony Brindisi, Abigail Spanberger, Jeff Van Drew, Joe Cunningham, and Conor Lamb, who was originally elected in a special House race in March. A number of the other members-elect have said they won't reveal their vote until they know who the candidates are, or that they support the idea of new leadership but won't commit to voting against Pelosi. Republicans have sought to capitalize on Pelosi's low favorability numbers for several campaign cycles. Their go-to negative campaign ad is one that accuses a Democratic candidate of being a "Nancy Pelosi liberal." National exit polls show that just over half of Americans who voted Tuesday hold an unfavorable view of Pelosi, a number that jumps to nine in 10 among Republicans. Just 31 percent view her favorably, including about six in 10 Democrats. Many Democrats who pledged to oppose Pelosi were running in deep red districts and were defeated on election night. The week after Thanksgiving, Democrats will take a closed-door, secret ballot vote on the next speaker. They won't have to take a public vote until the House formally convenes for the next session on January 3, 2019. Sometimes, members are known to vote against a candidate for speaker during the secret, closed-door ballot vote but then vote for them on the floor of the House so that they don't prevent the speaker candidate from getting the 218 votes they need. In 2016, 63 Democrats voted against Pelosi for minority leader on a secret ballot. By Wednesday morning Democrats had netted 27 seats, giving them a 222-seat majority in the House -- just four more than Pelosi will need on the floor to become speaker. There are 13 competitive races that are still too close to call, some of which will likely go to Democrats. But it's far from a foregone conclusion that Pelosi can't overcome the vote deficit. She has donated millions of dollars to help the Democrats win back the House, including $6.7 million to those in competitive districts Democrats were aiming to flip from Republican control, and she has several weeks to dangle promising committee assignments or other incentives to secure votes. Pelosi is, if nothing else, a master vote-counter and persuader and one should not discount her ability to round up the votes. Her allies will argue that she is the battle-proven leader the Democrats need to take on President Trump, given her past experience as a Democratic speaker negotiating with a Republican president, according to a senior Democratic aide. Additionally, Democrats elected a record number of women in 2018 and rode into power on the backs of female voters, which bolsters the argument for having a woman leading the Democratic Party. Beyond the new members who have pledged to oppose Pelosi, CBS News' Ed O'Keefe and Bo Erickson reported in September that 11 House Democrats attempted to force a rules change that would require any speaker candidate to win at least 218 Democratic votes before they are allowed to run for the position on the floor. The attempt failed, but those 11 members represent a contingent of lawmakers who want to see new leadership. With roughly 20 lawmakers indicating that they don't want to support Pelosi for speaker, one critical question remains: if not her, who? There are several names that have been floated as potential speaker candidates -- Reps. Hakeem Jeffries, Cheri Bustos, and Adam Schiff to name a few -- but none are expected challenge her directly. Same with the number two Democrat, Steny Hoyer. If Pelosi moves forward with her bid for speaker, those 20 members will have to ask themselves whether they want to make her vulnerable to a challenge on the House floor, leaving Democrats squabbling just when they've gotten the majority back after nearly a decade in the wilderness.